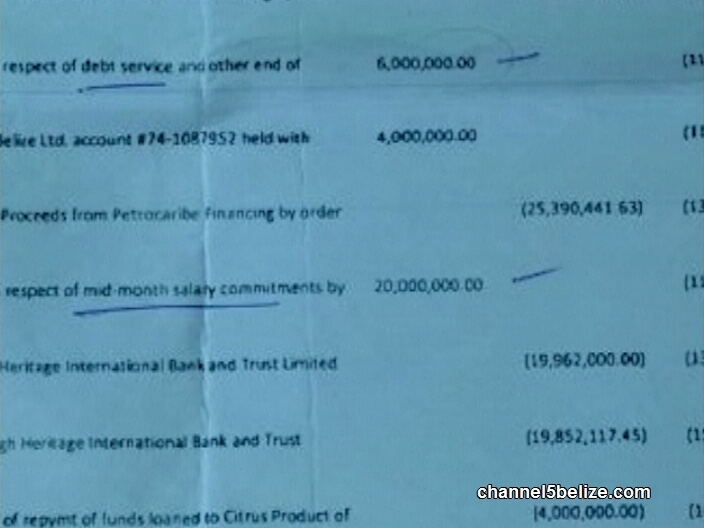 Were Petrocaribe monies used to fund salaries for government employees, and in secret? Well that’s the assertion which rang out on the airwaves this morning. 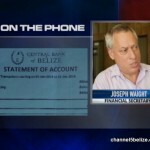 According to documents leaked from the Central Bank – a statement for an account entitled GOB Proceeds Petrocaribe Financing – that’s exactly what happened. 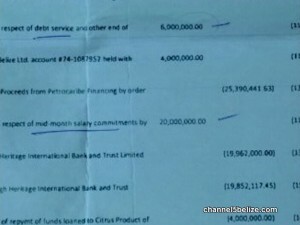 A line item on the statement reads, quote – “funds transferred to account #211318 in respect of mid-month salary commitments by order of Ministry of Finance Belmopan,” end quote. The transaction is dated March eighteenth, 2014 and is in the amount of twenty million. Now that’s the first we’ve ever heard of Petrocaribe monies being used to pay salaries, and naturally it raised eyebrows and blood-pressures today. 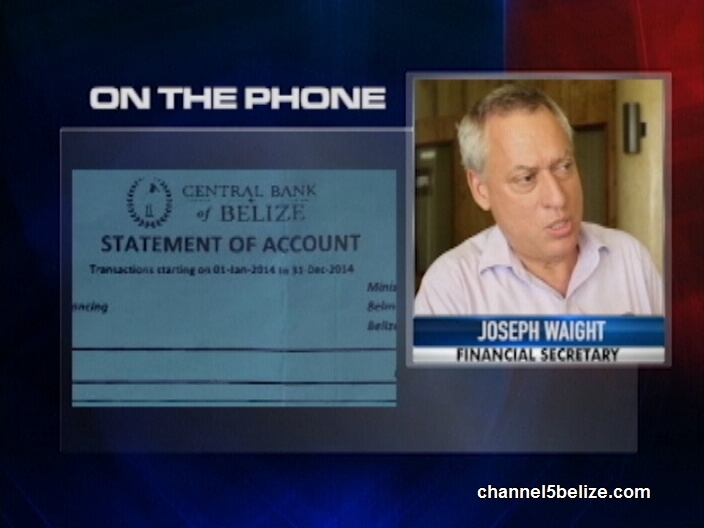 Early this morning News Five spoke to Financial Secretary Joe Waight who offered an explanation of sorts. He said that it didn’t happen the way it looks – it’s all about an operating account. We steal because Belizeans let us.